He’s helping you, really, he is. Find out how. 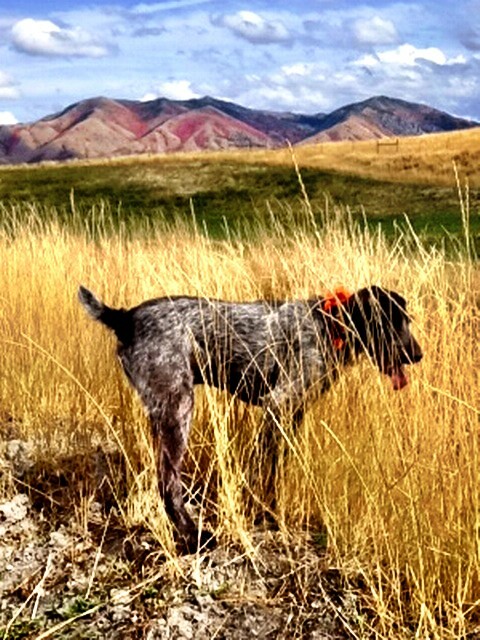 Can your dog make you a better hunter? That’s one of the questions I’ll answer at Pheasant Fest/Quail Classic coming up Feb. 15-17 at the Minneapolis Convention Center. I hope you’ll attend the event and both of my seminars: What the Dogs Taught Me, based on my upcoming book; and Go West for Quail, with insights for those who hope to hunt out my way some day. I’ll give one talk on each subject every day. I’m supporting Quail Forever in a big way, at PFest/QC and on Wingshooting USA all year. If you believe there’s a future for quail and quail habitat, you should too. Join here, and by special arrangement you will receive a FREE fleece vest with your membership. Join at PFest/QC and get the same deal if you join at my “Quail Camp,” booth #410. Stop by, take a close look at one of our Aliner pop-up trailers (like you’ve seen on my show) and test drive some of my Signature Series dog gear: leashes, collars and Real Bird Bumpers … all with special show prices. If you’ve never Pheasant Fest/Quail Classic, you don’t know what you’re missing. It’s worth the drive. 25,000 folks like us, plus the latest gear, shotguns, seminars on everything from dog training to land management and of course DOGS. Whole rows of them, including many obscure breeds you’ll probably never see anywhere else. Learn more about PFest/QC here. Then mark your calendar and make sure you stop by to say hello. There might even be something special waiting for you at my Quail Camp, booth #410.